At conferences, lectures, and meetings, it’s common to see the people around you typing notes on their laptops, tablets, or phones. Maybe you’re doing it too! And why not? Typing is an incredibly efficient way to capture large amounts of information. But if you’re looking to actually master the material, typing notes is actually is not the best way to do that. Recent studies from psychologists and neuroscientists alike have found that handwriting is king for effective learning. It has to do with how the brain processes different inputs of information. More specifically, it matters whether you transcribe a speaker’s content digitally — or instead capture its essence on paper. As digital continues to dominate, going old-school with handwriting just might work to your advantage. Writing by hand tends to boost your ability to retain information, comprehend new ideas, and be more productive — with the added bonus of eliminating the distractions of your device. 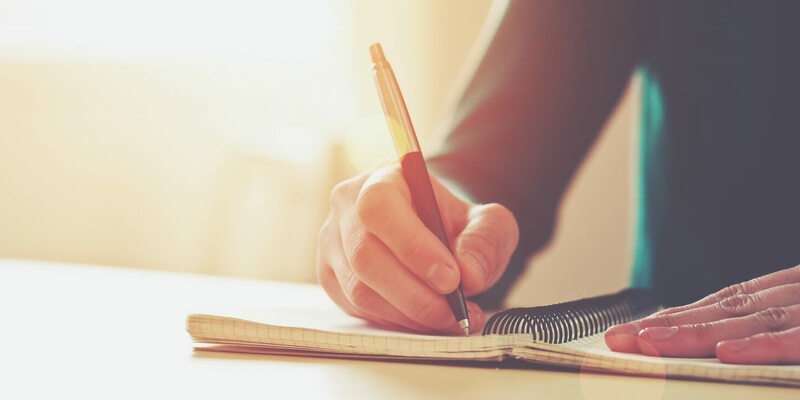 Read on to learn more about three scientific links between writing out your notes by hand and actually remembering the important stuff. So say researchers Pam Mueller of Princeton University and Daniel Oppenheimer of UCLA, who recently published a paper with that title in Psychological Science. The three experiments they did led them to conclude that using laptops for notetaking might actually impair learning. Why? Because it often leads people to process information more shallowly. In a nutshell, if you type your notes, you probably tend to record lectures verbatim. If you put pen to paper, you have to be more selective in recapping key components. Paper notetakers’ brains are working to digest, summarize, and capture the heart of the information. This, in turn, promotes understanding and retention. Mueller and Oppenheimer found that participants who took notes on laptops performed worse on conceptual questions than those who took traditional paper notes. “Laptop notetakers’ tendency to transcribe lectures verbatim rather than processing information and reframing it in their own words is detrimental to learning,” they wrote. When you really need to grasp new material, consider dusting off your trusty pen and paper. When you try to recall the information later, your brain will thank you for making its job easier. Some notetakers argue that they’re more productive when they type because they can capture more material faster. But without reviewing and studying those notes after an event, all of that extra transcribing doesn’t do much good. Psychology professors Dung Bui, Joel Myerson, and Sandra Hale at Washington University found that taking computer notes does offer the immediate benefit of better recall than well-organized, handwritten notes. So the computer wins…at first. But then their research, published in the Journal of Educational Psychology, uncovered something interesting: that advantage disappears in about 24 hours. By that point, people who typed their notes actually performed worse on tests about the material. The researchers concluded that the typing notetakers had worse recall because they weren’t actively summarizing and synthesizing key points. “Taking organized notes presumably involves deeper and more thorough processing of the lecture information, whereas transcribing requires only a shallow encoding of the information,” they explained. Next time to you need to recall information from a lecture or meeting for more than 24 hours, consider handwriting your notes. The material will stick with you longer. Some people prefer taking notes electronically because their handwriting has turned into illegible scrawl. If that sounds like you, don’t put away the pen and paper just yet! There are brain health and developmental reasons to keep writing on paper. Research from psychology professor Karin James of Indiana University evaluated children who hadn’t yet learned to read or write. Published in Trends in Neuroscience and Education, her study engaged children by asking them to reproduce a single letter by typing it, drawing it on plain paper, or tracing it over a dotted outline. Then the researchers put the children in a functional MRI brain scanner and had them study the image again. While reviewing the image, scans showed that kids who drew the letters activated three distinct areas of their brains. Brains of children who traced or typed the letter didn’t experience the same effect. The study demonstrates the learning benefits of physically writing letters, James notes, especially the gains that come from engaging the brain’s motor pathways. But that doesn’t mean the perks of handwriting only apply to kids. The more you use those neural pathways, the better it is for your overall brain health. The phrases “lifelong learning” and “use it or lose it” are never more true than with your brain. Both activities ward off debilitating disease like Alzheimer’s and keep your cognitive abilities strong. In other words, when you want to check out Facebook during a boring talk at a conference, go for it! That’s a great reason to have your computer open. But when you’re trying to capture and retain complex material — or simply stay extra-sharp — put the laptop away…and take out a pen. Redbooth’s beautiful new Gantt charts first came to life on the pages of a notebook. Check out designer Sarah Tanner’s sketches and notes here.